Address: 9227 S. Old Oregon Inlet Rd. A wide, spacious Beach & terrific Ocean Views await when you choose Keefe's Castle for your Outer Banks vacation. Nothing can be finer than watching the sunrise over the beautiful, blue Atlantic Ocean while enjoying your morning coffee & quiet time w/ family. During the day the beach is nothing short of magnificent & your group will love being able to play in the surf & bring the family pets along. Later you can hop on your bikes & take advantage of the bike path the runs the full length of the town. A perfect spot to spend time w/ your family. Convenient to area attractions including Oregon Inlet & the Outer Banks Fishing Pier, this home is also a short drive from great dining & shopping. Full Access to the Outer Banks YMCA is Provided at No Extra Charge. Includes Indoor & Outdoor Swimming Pool, Full-Court Gymnasium, Free Weights, Group Fitness Classes, Skateboard Park, & Much More! Ground Level: Parking for 4 Cars, Steps to Covered Entry, Enclosed Outside Shower, Walkway to Dune & Sand Path to Beach. Mid Level: 4 Bedrooms (1 w/Queen & Flat Panel TV, 1 w/Queen, 1 w/2 Singles, & 1 w/2 Bunk Sets & TV), 2 Full Hall Baths, Laundry Area, Front Covered Deck, & Back Covered Deck w/Deck Furniture, Ocean Views, Steps to Walkway Over Dune, & Steps to Top Level Sun Deck. Top Level: Living/Dining/Kitchen Area, Flat Screen TV, DVD, Great Ocean Views, Foosball Table, 1 Bedroom w/Queen & Single, Full Hall Bath, Front Sun Deck, & Oceanfront Sun Deck w/Deck Furniture & Great Ocean Views. Features include: C/AC & Heat, Washer/Dryer, Dishwasher, Microwave, Phone, TVs, DVDs, Wireless Internet. Two Mature Dogs Only Allowed w/Fees. This is a Non-Smoking Unit. 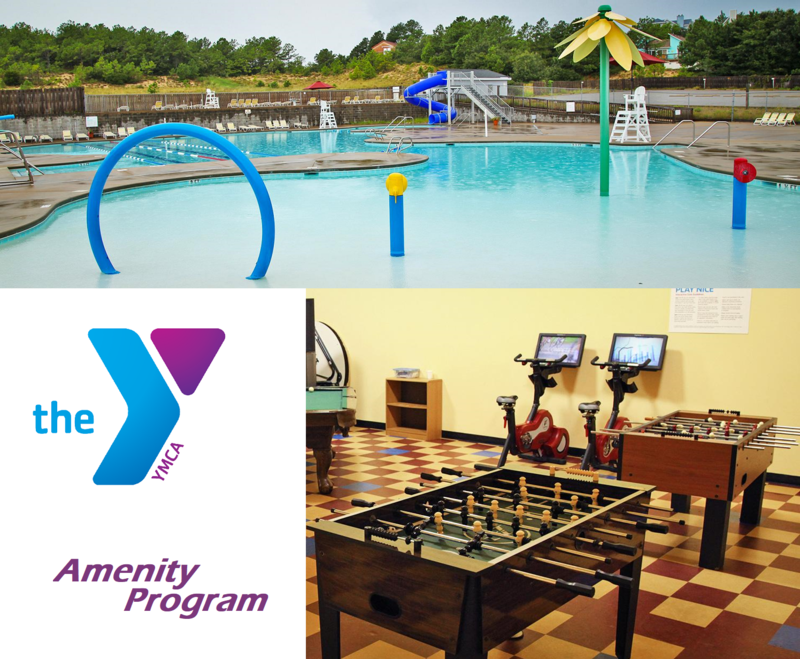 To See more about the YMCA & the amenities it provides visit their information page. Beautiful vacation home with everything we needed. Perfect for our crew of ten. It was a wonderful home!!!! Thanks so much for your professional service. We enjoyed our vacation while staying in your home. It was supplied with all our needs, especially the kitchen. It also had good eye appeal in furnishings. Mitch rated the overall condition & cleanliness of #074 as Excellent and said he was likely to return! We loved the large living dining area with plenty of chairs and the huge table. Russell was very satisfied with his stay, he rated the overall cleanliness as excellent & said he was very likely to return in the future! Very nice lay out of your home. Well maintained inside and out. Well stocked kitchen. You will not be disappointed!! It is a great vacation home. Thanks for allowing others to use it. My family enjoyed staying in your beautiful vacation home. We loved staying in your home. It was our second year in a row there and we hope to be back. You were very thoughtful in your layout. Loved the home. Had a lot of fun with Foosball. Keefe's Castle was a beautiful home on the waterfront. The homeowner's have provided many nice extra touches, and the property is very well stocked for your comfort. We can gladly recommend this property. We had a wonderful week at the beach. This home was perfect for our three families. The kids loved the fooseball table. The private boardwalk to the beach was very convenient. We had a wonderful vacation!